Sony has released its sales numbers for the first quarter of its fiscal year. 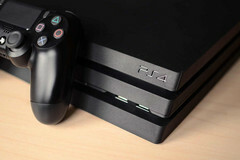 According to the report, the company's PlayStation division saw sizeable rises in income and profit but the reverse was the case for the floundering mobile division. Like all publicly traded companies, Sony has released its sales numbers for the first quarter of its fiscal year. The company’s fiscal year begins in April, so it actually corresponds to the traditional second quarter of the year. According to the report, the company saw an operating revenue of US$17.9 billion, up 5% from the same period in 2017. Profit before taxes came in at US$2.86 billion—taxes taking that figure down to US$1.78 billion, a massive 24% year-on-year rise. The company’s different divisions saw varying levels of commercial success. The Game and Network Services remained the most profitable with about US$4.2 billion in sales and US$750 million in profit. Interestingly, while the former corresponds to a 35.6% year-on-year rise, the latter equates to a massive 370% growth, which shows how much more efficient and streamlined Sony’s business model in that segment has become. While the PlayStation division saw growth, Sony’s mobile arm was an entirely different issue. The Mobile Communications division recorded revenue of US$1.19 billion, down from US$1.63 billion over the same period last year. If you thought a drop in revenue was bad enough, you’d be wrong, as Sony’s mobile division also managed to rack up a loss of about US$97 million, a whopping 400% year-on-year drop. Of course, there are a number of reasons for Sony’s poor showing in the mobile market in this quarter, most important being the company’s focus on releasing uninspired smartphones that have failed to compete against the industry’s leaders. The new XZ2 Premium, for example, epitomizes everything wrong with Sony’s approach in the market—chunky, unassuming, and just all-around not doing enough to justify its price tag ahead of offerings from other OEMs.